Blog | Trends | What is a Hybrid Cloud? With a hybrid cloud, both cloud concepts are combined – the public cloud and private cloud. Data and programmes can be provided using both variants. This concept of cloud provisioning creates higher flexibility and combines the advantages of both worlds. Therefore companies have the opportunity to utilise the advantages of both concepts, while also being able to ideally implement and adhere data protection and security relevant guidelines in the cloud. 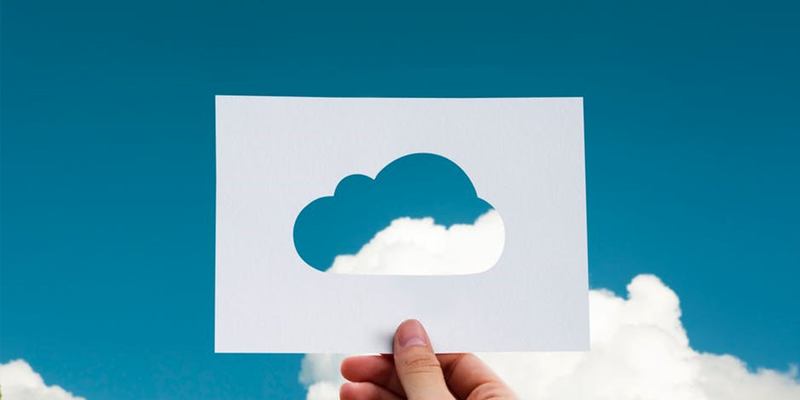 All non-confidential data can be stored flexibly in the public cloud and critical applications, which are central for business processes within the organisation, are protected. The private cloud is suitable for all data and applications, which have a great need for security, control and protection. Therefore there is data in this cloud, which should be accessible to internal staff or certain groups of people within the organisation. Access is generally via a VPN or closed intranet. Often it is hosted on in-house computers, but there is also the option of hosting it with external providers. All requirements such as storage space and network capacities depend on the requirements of the company. The adherence of high demands on data protection and data security or sector specific regulations can be controlled and managed much simpler in the private cloud than with public storage. From data storage to IT infrastructure, in the private cloud everything can be tailored and ideally adjusted to the needs of an organisation. A public cloud offers services freely accessible via the internet. Some very well-known examples of this are applications such as Google Docs or Webmailer. In comparison to the private cloud, here resources are not administered by each company, but cloud service providers. They then make applications, IT infrastructure or even entire computing plaforms available. Public clouds can be provided quickly and offer companies and end users typical cloud-specific advantages. Besides a scalable IT infrastructure, this includes often also maintenance and installation free applications, such as per the Software-as-a-Service modell. The advantages of the public cloud are diverse, for example fast provisioning of instances, high and quick availability, scalability and wide geographic distribution from one provider as well as in monetary areas. Generally the public cloud generates lower set-up and running costs for companies – in addition to cost savings relating to maintenance and software updates as previously mentioned. Furthermore, with many public cloud offers only those services are being billed, which have actually been used by the company. Additional set-ups with clients, such as a VPN tunnel, are also not necessary. With a hybrid cloud, the private and public cloud are used cumulative. This allows the advantages of the public cloud, which are noted in particular in cost efficient models and high flexibility, to be combined with the requirements regarding data security and data protection, which in turn can only be implemented in the private cloud. Processes, applications, data in general and much more are separated in data critical aspects as well as less critical workflows when using the hybrid cloud and allocated accordingly to the public or private cloud. Data or applications can be classified precisely. This, which is only accessible to a defined user group, is given relevant access rights – protected through a firewall. Different levels of protection or public accessibility are also possible as well as an exact specification of user groups within or outside the organisation. The status can also simply be changed again, for example when resources previously administered by the company are to be made more easily accessible via the internet. However, as a disadvantage it has to be noted that a hybrid cloud model increases the internal complexity of the IT infrastructure and makes its management and orchestration more difficult. This means that the company incurs higher costs in administration. Even the conscious decision, which data and applications are to be allocated to the respective cloud, can pose a challenge for many companies. Often there are issues with the security concept, many business processes are not analysed accurately. There is also the danger that data etc is saved in the wrong model. Private or public – companies don’t always make this decision lightly. A hybrid cloud combines both and enables companies more flexibility with the administration of their own data and applications. However, companies have to be aware beforehand that this model also requires security concepts.